Copy editors, paginators and Web editors, aggregators and bloggers can all experience the rush of breaking news, of chaos and upheaval, but it’s (generally) at least one step removed. Sure, lots of reporters’ days are mundane, too. But in the fame-making, in-your-face situation, they get to feel that rush while falling back on training, experience or plain luck to focus on their jobs. For a copy editor, say, the task remains important, and time may be of the essence, but the work is deliberate, on task and focused on the product. I’m painting with a wide brush here, of course. But tell me, what is the outwardly exciting, publicly demonstrated editing equivalent is of the Newseum’s Pulitzer Prize-winning photos, this shot of Tiger Woods’ shot striking the camera, or of Edward R. Murrow’s World War II radio broadcasts? The rewards must be found elsewhere. Success does not hinge on recognition. 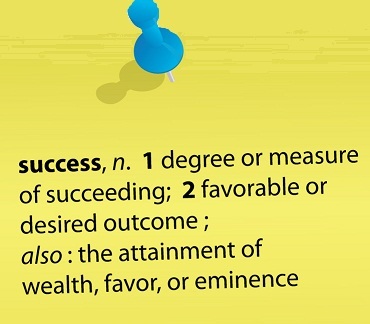 And recognition does not mean success. In the age of Paris Hilton alone, we surely know this. And, though I may be wrong, I believe the new-media world is and will be one with a high ratio of success to fame. The ratio of success to pay, unfortunately, may also be high. Who will be prepared for this? Those with egos? Hardly. Whether reporters, editors or simply enthusiasts, those without hubris and entitlement, but with backbone, will find the greatest success in new media — and be able to live with a diminished level of fame. In time, as digital natives take over, fame’s role should also shift — still sought, for we won’t stop being humans, but tamed into bursts of fame for successes had, rather than the old world of attaining fame, however legitimately, and riding its wave forever. That’s my prediction and, in some ways, my hope.